Citations help your local rankings and overall visibility to customers. The more you can rack up, the better – right? Wrong. There are some sites you simply don’t want your business to be listed on. If I had to categorize them, I’d call them consumer-protection / complaint-board sites. How would you like to be the proud owner of juicy citations like these? Didn’t think you’d want a piece of that action. It doesn’t really matter, though: The goal is to attract customers. If any of the above sites shows up in the search results when someone types in the name of your business, you’re repelling customers. 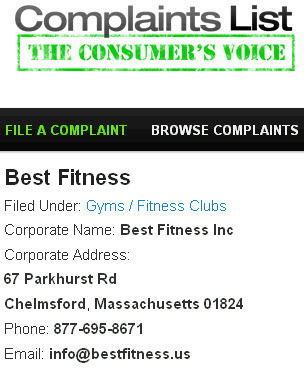 If you’re in the unenviable position of being listed on one of these sites, at least respond to the complaint. Many sites give you (the business owner) some way to address the beef – as a way of making things right or of telling your side of the story. 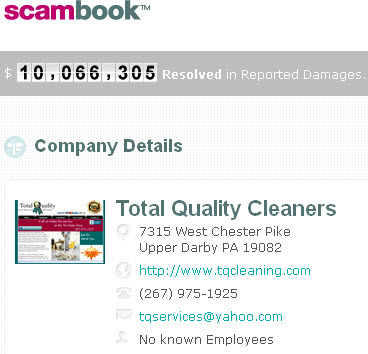 Whatever you do, be wary of companies that claim to be able to remove complaints. I’d add one more to these – call scam and caller complaints sites. I used to know a company that was creating quite a number of these for the sake of improving the rankings (because that was the only deliverable), without taking care of the reputation disaster it might cause for the business. Thanks for stopping by! You wouldn’t happen to have any screenshots or names of specific sites? Of all that I’ve seen, I don’t think I’ve seen one of those. Yep, these are the likes of http://800notes.com/ and http://www.callercenter.com/ . There are literally tens of such websites. Weird. Sounds like an un-kosher way to build citations, unless my understanding of those sites is wrong. It’s not just un-kosher, but also un-vegan, and potentially non-halal 🙂 But yeah, when your only goal is higher rankings you tend to do weird things. Indeed…but only reputation-management that the business owner does himself/herself. As opposed to writing a check to a company that claims to be able to help. Plus, only business owners themselves can fix the deeper problems that would have resulted on their being listed on those sites in the first place. Thanks for bringing up a good point! Thanks for passing along that piece. I like how it goes against the grain. Although I agree there’s a “bubble” of people who think that (1) “local SEO = citations” and that (2) “more citations = better rankings,” I think that the bubble doesn’t encompass as many people as you might think. 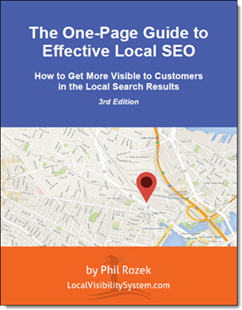 I think most good local SEOs would agree with me when I say – as I did in the 2012 Local Search Ranking Factors – that there are a lot of junk directories, and that being listed correctly on the BIG sites is much more important than being listed on a bunch of rinky-dink sites nobody’s heard of. My exact words there were “quality over quantity,” and I’ve seen even more evidence to make me believe that. So I agree that there are a lot of people who view citations the wrong way, but I think any good local SEO is well outside of the “bubble” you describe.